1-VACANCY(Government of India)—Four deputy directors (mechanical) in the micro ,Small and medium enterprises Ministry of MICRO ,SMALL and posts ,one post each is reserved for S.C & O.B.C Candidates.The posts are also suitable for physically Handicapped persons with disability viz. Orthopedically handicapped locomotors disability/cerebral palsy with ol(one leg affected). QUALIFICATIONS---ESSENTIAL—EDUCATIONAL(Government of India)—1—Degree in Recognized University institute or equivalent and Five years experience in a supervisory or managerial capacity in a technical organization. 2--NEST VACANCY(Government of India)---ASSISTANT DIRECTORS(GRADE-1)(ELECTRONICS)IN THE MICRO,SMALL. AND MEDIUM ENTERPRISES, MINISTRY OF MICRO S MALL . EDUCATION QUALIFICATION(Government of India)---Degree in Electronic or Telecommunication Engineering of a recognized University or Equivalent. 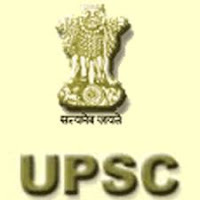 3—NEST VACANCY(Government of India)—THREE DEPUTY DIRECTORS(EXPORT PROMOTION)IN THE OFFICED OF THE DEVELOPMENT COMMISSIONER (MSME),MINISTRY OF MICRO SMALL AND MEDIUM ENTERPRISES. QUALIFICATIONS---ESSENTIAL—EDUCATIONAL---(Government of India)Master’s degree in Economics or commerce with specialization in Business Administration/export promotion forma recognized University. 4—NEST VACANCY(Government of India)—FOUR NUNIOR SCIENTIFIC OFFICERS, INTEGRATED HEADQUARTERS, MINISTRY OF DEFENCE(NAVY).OUT OF FOUR POSTS ONE POST IS RESERVED FOR OBC. The last date for receipt of applications is(Government of India)---07-04-2011.